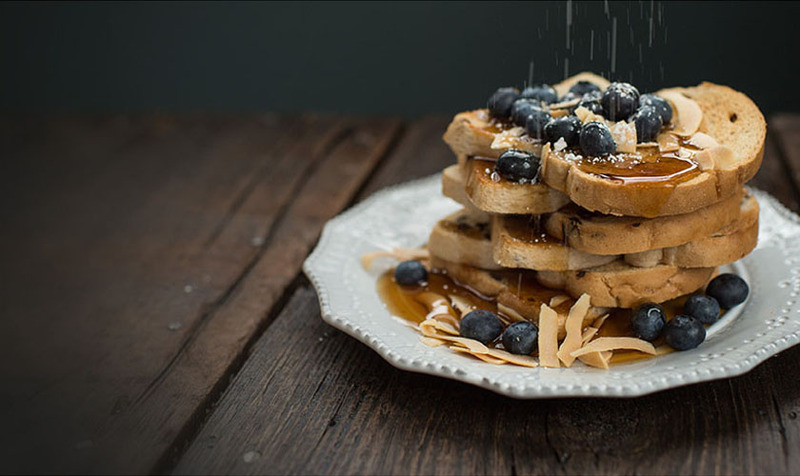 BLACK+DECKER™ provides easy and economical countertop cooking. 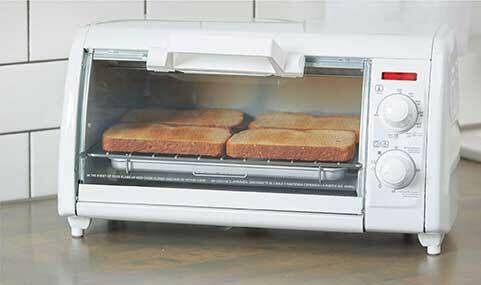 The BLACK+DECKER 4-Slice Toaster Oven bakes, broils, toasts, and keeps food warm. Temperatures range from 200-450°F and the 30-minute timer features stay-on functionality for longer tasks. Plus, the swing-down crumb tray prevents food from burning in the bottom of the oven so your kitchen stays fresh and clean. When it's time to eat, trust the #1 brand in toaster ovens*—BLACK+DECKER. 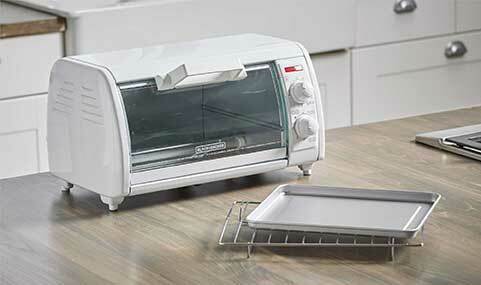 The compact toaster oven handles toast, small meals, and frozen snacks. It’s perfect for quick, tasty eats without heating up a large oven. 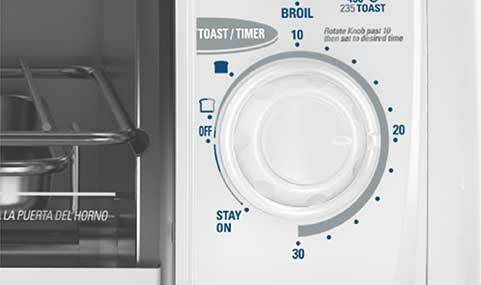 Precise toasting shades and stay-on functionality for longer tasks. Don’t worry about finding pans to fit in the toaster oven. The included bake/broil pan fits perfectly, making it easy to insert and remove food.